Some of the most under-appreciated workers at McClurg are the dish washers. Many students know the names of the cooks and interact with them every day, but don’t know the names of the dish washers and don’t talk with them. 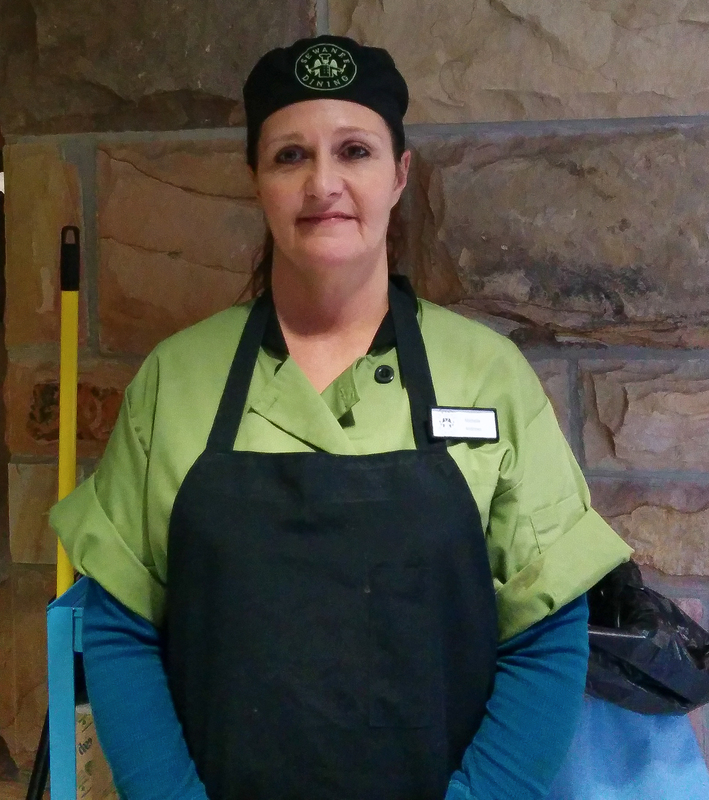 Michelle Andrews is a dish washer at McClurg. Andrews had not been in the workforce for the last ten years in order to take care of her family and joined the McClurg family about one year ago. Although Andrews works in the back washing dishes, she also knows how to cook. If you see Andrews working in McClurg, make sure to work a conversation with her, she is extremely friendly and wants to get to know you! A. I am from Sequatchie, Tennessee. It is about thirty-seven miles from Sewanee. Q: What is your favorite Sewanee/Monteagle restaurant and why? A. I enjoy McClurg food here. Q. What is your favorite McClurg Line? Q. What is your favorite McClurg Dish? Q: What is your favorite thing about working here? A. The people that I work with. Although I was worried about working after being out of the workforce for 10 years, the people here are very nice to me. A. I like Frozen because of the sisterly bond shown between the sisters and Tango and Cash because of the men. A. I enjoy going to the movies and spending time with my family. Q. Do you have a favorite band or musical artist? Q: Are there any benefits to working on a college campus with students? A. It takes you back to when you were at that age. It makes me think of what I could have done differently. The students also give me inspiration.